This Saturday the 10th we’re doing the 3rd in a series of “Saturday Mini-Classes”! 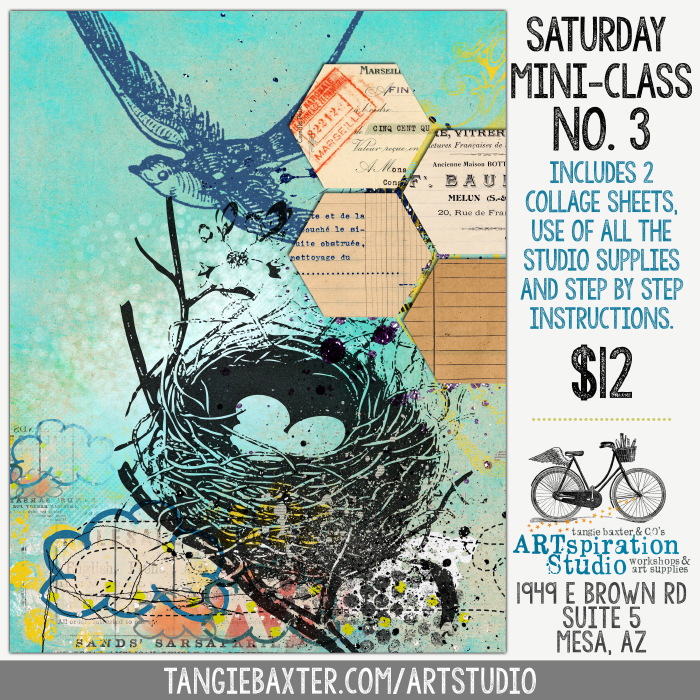 These mini classes will be taught by Tangie and the cost is only $12. It includes 2 collage sheets and step by step instructions to finish a journal page (each week will be different)! No RSVP required, doors open at 9:45 AM for payment and getting settled in, class starts promptly at 10 AM.